While wandering around Hayes Valley, we stopped into True Sake after a bar adventure at Absinthe. 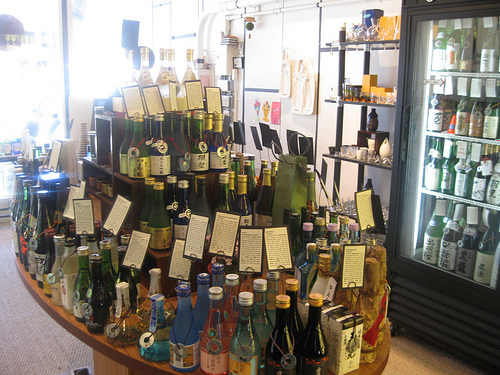 I have never been to a shop that only sold sake before. In fact, they claim to be the first. It was amazing. They do have tastings every now and then but we somehow missed it. The shopkeeper sold us on the idea of a sake similar to a Riesling. And it was quite adorable when she said she drank sake out of wine glasses (no dinky sake cups for her!). 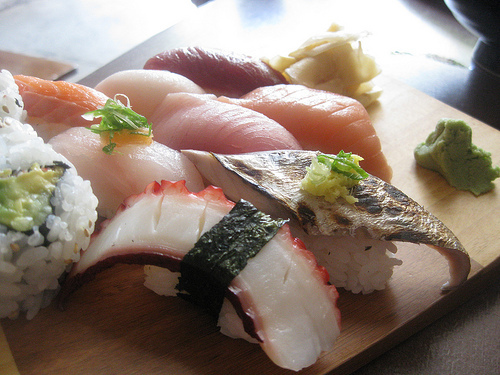 We had asked where to have sushi for lunch the next day and the shopkeeper at True Sake recommended Umi Sushi. If you bought a bottle at True Sake, they waive corkage. They also waived it at Sebo which was across the street but we didn’t like the look of it. It felt very masculine with the dark plain walls. At Umi, it was true homey and cute Japanese. We started with broccoli rabe in a light peanut sauce. 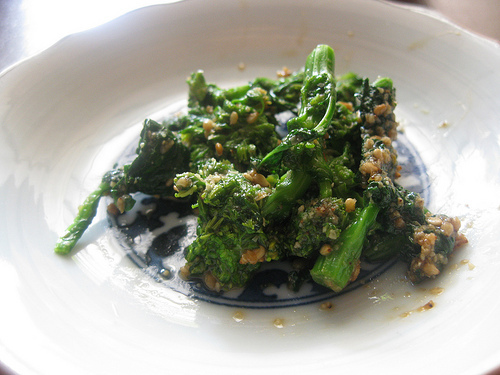 I’ve had this before with spinach but enjoyed it more with the crunchy broccoli rabe. Our server went on and on about the katsu don so we got that to share. 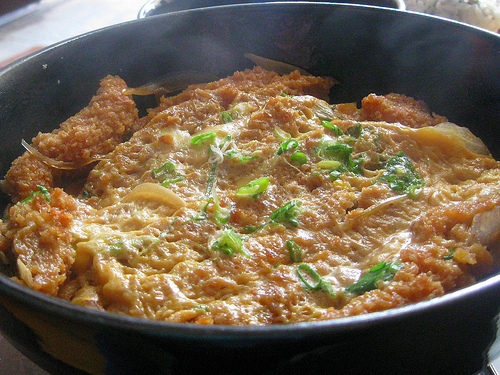 It was the biggest bowl of katsu don I’ve ever seen. Very generous portion and I really liked the onion in it. Umi Sushi didn’t have a sushi counter. It was mostly a two-room restaurant. We were seated “outside” though it was completely covered. I’d like to go back for the small plates but the sushi we had was pretty good. The butterfish was great and surprisingly “real” crab California roll wasn’t bad. 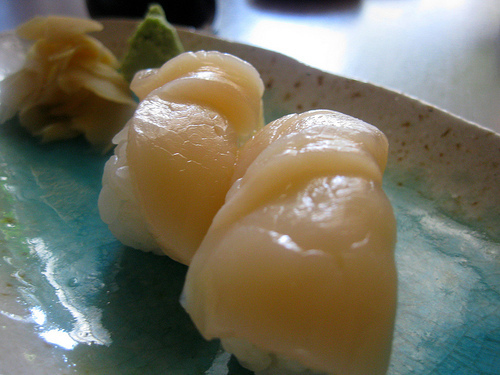 We also ordered an extra scallops sushi. I thought it was very artistically presented.